This cute set of 3 wall art prints is absolutely ideal for a baby or young child's room. Whether it be for a birthday, special occasion or just because, this is sure to be a huge hit! 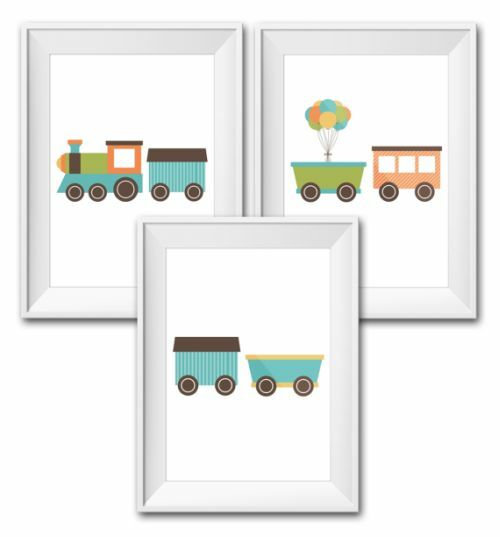 All 3 prints put alongside each other make one train - so cute! Pop your new pieces of art into frames and you've got a wonderful gift. Please note: Frames are not supplied, price is for prints only.